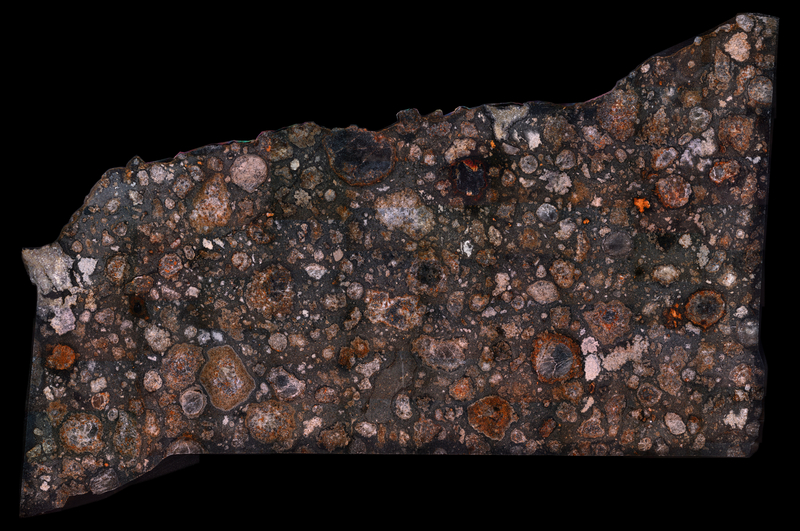 Presented here is a large panorama of the NWA 2224 meteorite. 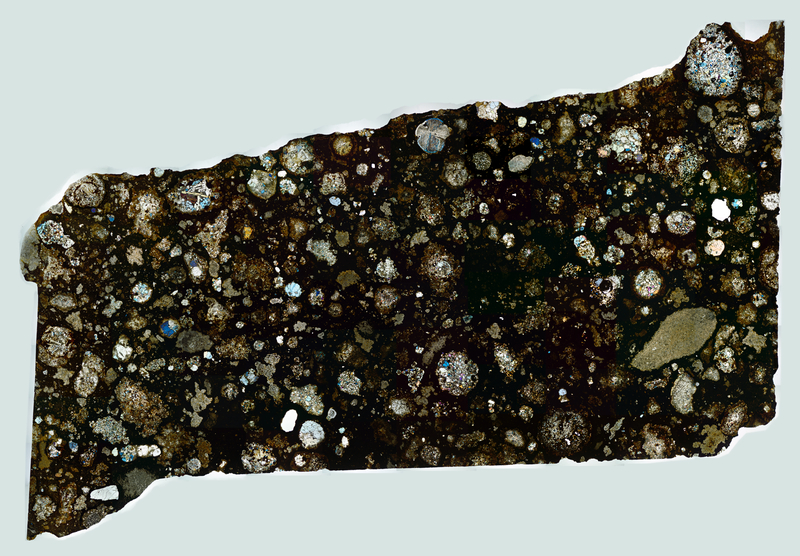 There are a number of interesting inclusions and chondrules. 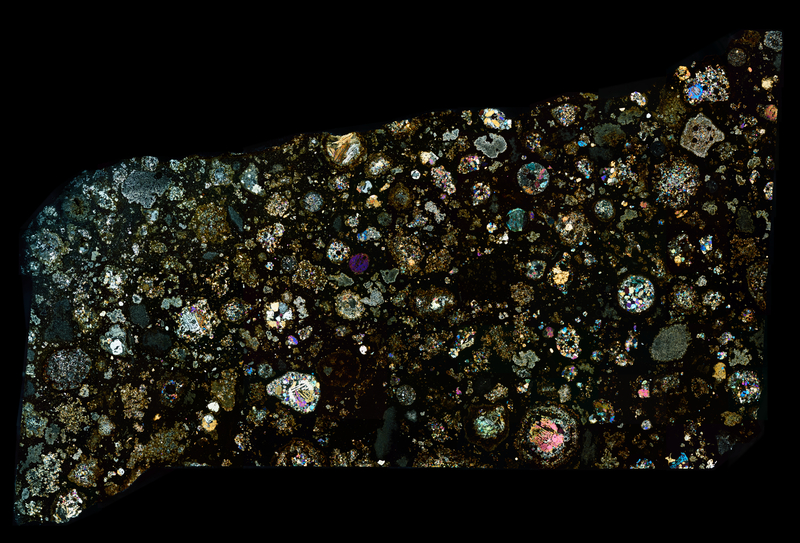 Although the left side is thinner in spots, resulting in a different polarization, it helps reveal other details.